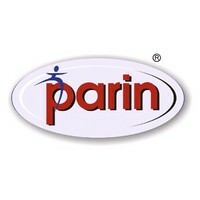 i) Parin Furniture Limited is a provider of wide and exclusive range of furniture and lifestyle products for several consumers. The Company is managed by experienced and dedicated promoters to address the changing needs of customers in the furniture industry. They are consistent in supplying of quality products around the year as customized products are made available to them as per the market demand. ii) The Subsidiary Company namely Pearl Furniture Private Limited has well-established manufacturing unit located at Rajkot, having high tech equipment and design facility to manufacture various combination and size of products as per specification and needs of the customers. It is equipped with all facilities to execute all types of manufacturing activities such as Panel cutting, Edge bidding, Post-forming, Painting line, Fabrication, Moulding, Cutting and Polishing & Packaging, etc. The company is using the latest machinery & technology and keeps on upgrading its manufacturing set-up, design capabilities and workmanship to deliver superior quality products with on-time deliveries and with an emphasis on quality. iii) The Company’s core purpose is ―” To serve the world with a better lifestyle “. The business network is spread in 18 States. They have COCO Flagship Retail Stores and around 900 dealers associated with them. They have huge stock keeping facilities having storage area with strong supply chain management. In addition to this, they have created Spacious, Specially designed showrooms for display of their various products like home furniture, office furniture, hospital furniture, institutional furniture etc”. iv) They also have a team of experienced, highly professional and skilled manpower. The Subsidiary has hired an international designer from Turkey who develops a new product design. To maintain space and remain competitive in today‘s changing marketplace, they have various business verticals like B2B, Projects – Government & Private, Retail and E-Commerce. 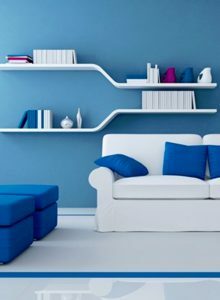 (i) Home Furniture & Decor: The Company provides wide range of Home Furniture such as design bedroom sets, dining sets in metal and wooden, sofa sets, side tables, decor & arti-crafts like vases, wall art & wide range of soft furnishings. (ii) Office Furniture: Under this category, they provide office seating solutions, desks, workstations and storage units which are designed keeping in mind the requirements of the modern workplace. The Company offers complete solutions for office furniture designed to meet the growing demands of modern-day business. 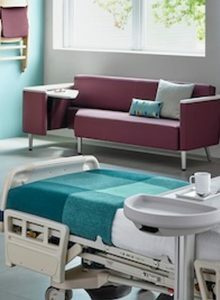 (iii) Hospital Furniture: Under this category, they provide hospital beds, side tables, cabinet, ward furniture etc. which are designed keeping safety, multitude of applications and functions in mind. (iv) Institutional Furniture: Under this category, they provide chairs, tables, storage, lockers etc. Our storage and lockers provide singular flexibility, making it a useful storage addition to any working environment. (v) Education Furniture: Under this category, they are offering a quality assured assortment of Educational furniture like chair with armrest, glass door cupboards, stool for science lab, study table with drawers, dual desks, writing table etc. 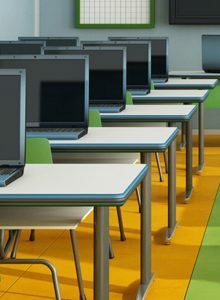 to schools and colleges which are designed keeping in view of durability and comfort. The Established brand Nilkamal is trading at Adjusted P/E of 22 and EV/EBITDA of 11.3 while on standalone basis Parin Furniture is asking Adjusted P/E of 26 and EV/EBITDA of 12.5. The issue looks overpriced. Even on the Consolidated basis, the Parin Furniture is asking an Adjusted P/E of 22.75 and EV/EBITDA of 9.13 which still looks fully priced as compared to Nilkamal. The Nilkamal is a regular dividend paying company while Parin Furniture has not declared any dividend on the Equity Shares in the past five financial years. Depend upon subscription figure. The Valuation is fully priced as compared to market leader Nilkamal. SME runs more on a subscription basis as compared to fundamentals. (vii) Employee expense going down- not happened in growing company. (viii) Other Expense going down just before the IPO is fishy. (viii) Other Expense going up inline with the expectation of a growing company. Conclusion: An SME company asking valuation more than an established brand like Nilkamal is beyond my understanding. The Revenue of the company has increased by only 7.1% in FY18 as compared to last year. In the meanwhile, the PAT has increased by whopping 60.75% which raises doubt. The company has reduced the Employee Benefits in FY18 which is generally not happened in the growing company. The Other expense has also reduced considerably. The Share Capital has increased from 30 Lakh to 8.118 Cr in last one year is the cause of worry. The D/E was 5.18 in 2017, but last year due to equity dilution, it has reduced to 1.48 in FY18. Just before the IPO to make D/E look reasonable the dilution has been done. Now Company is issuing shares to the public for Rs. 60-63.